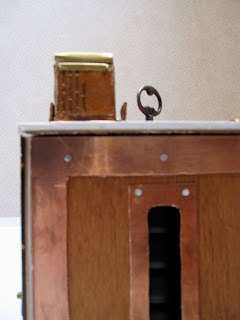 "The Nickel Box" was made from copper, wood, bolts, screws, epoxy, scrap metal, skeleton key, paint, and nails. 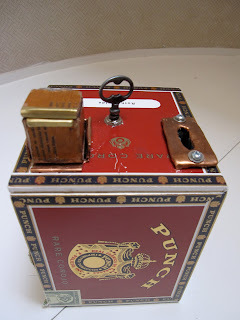 The tiny box was made from scratch, using scrap wood from another cigar box. All of the copper was hand cut to fit the box. I love this routine, because no electricity is required for it to work. The goal of this project was to create a magic effect that works like a crank toy.